What is the English name with 沙薑粉? It's called "sand ginger powder". 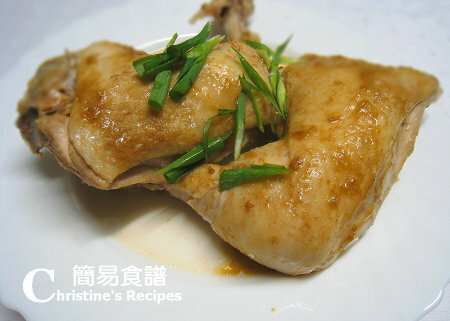 I am a chicken lover and I will try this dish, it's so wonderful and juicy! I got it at Asian grocery store. On the packet, it says, "ginger powder", yet it's totally different from those available at supermarket. 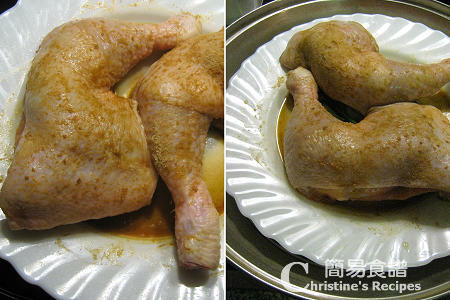 Look for 沙薑粉 in china town, not in supermarket. I think you can easily find some because it's a very common Chinese spice. it looks delicious and I am try tonight! Thx for sharing! 沙薑粉 = sand ginger powder. Please note that sand ginger powder and ginger powder are two different things, with different smells. 我放了入電子飯煲焗, 但不知爲什麼煲底出了很多油/水和豉油，以至雞皮不脆了, 點解呢? 我巳抹乾雞之水份，會否因雞未完全解凍? 或應用鹽代替豉油等冇咁濕呢?